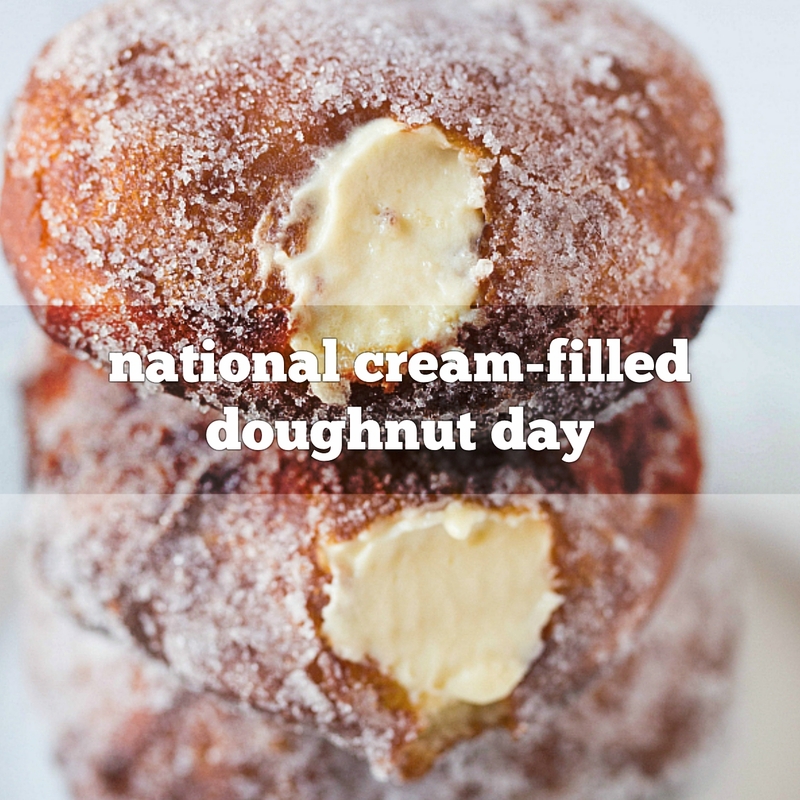 Today is National Cream Filled Donut Day! Whether you enjoy chocolate, vanilla, lemon or ganache filling in your donut, today is the perfect day to enjoy these sweet treats! Donuts came to the United States in the mid-1800s through Dutch settlers that were known for their pastries. The first donut with a hole in the middle is said to be a creation of American Hansen Gregory. Thankfully, someone after Hansen made the brilliant decision to fill that hole with delicious cream filling! These were so well-liked that the Boston Creme Donut, perhaps one of the most popular cream filled donuts, became the official donut of Massachusetts in 2003. Celebrate National Cream Filled Donut Day with a stop at your local bakery for a box of fresh cream filled donuts! Or better yet, make them yourself.